Each day the resort provides a guided activity for the adults. These activities include guided snorkeling, kayaking and hiking trips, trips to the local village, Old man Danial’s house and to Church on Sunday’s. There is also a cooking class run by our Head Chef. They provide a wonderful opportunity to learn more about the Eratap environment and to interact with the local people. The resort is part of the Eratap community and our guided activities help guests become a part of this. 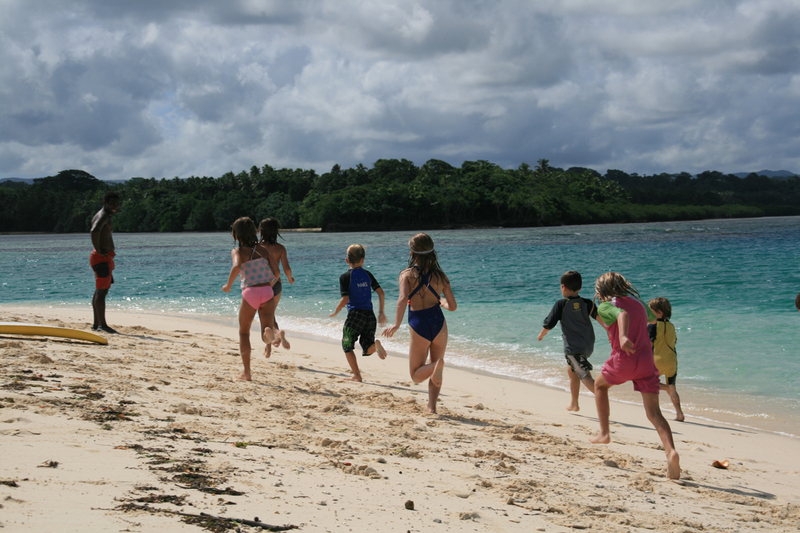 During Family weeks the resort also puts on morning and afternoon activities for the children. 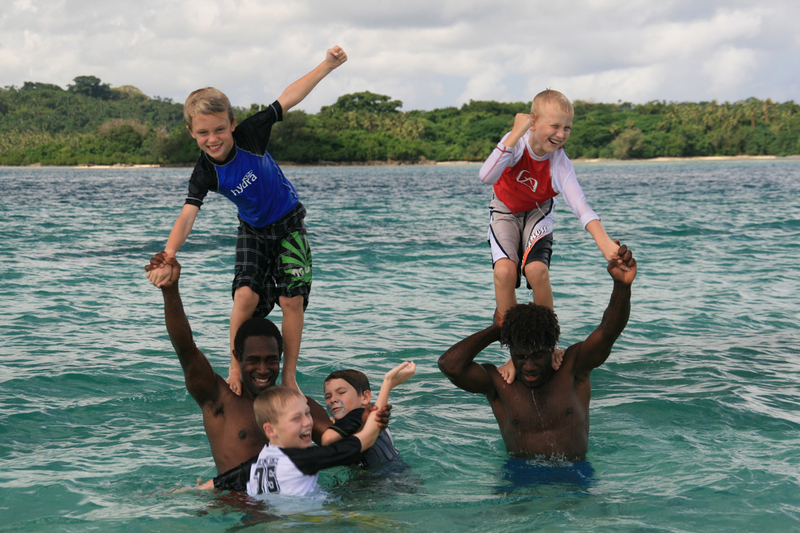 These activities have been developed and refined over the years to provide the children with a unique set of fun things to do in and around the resort. 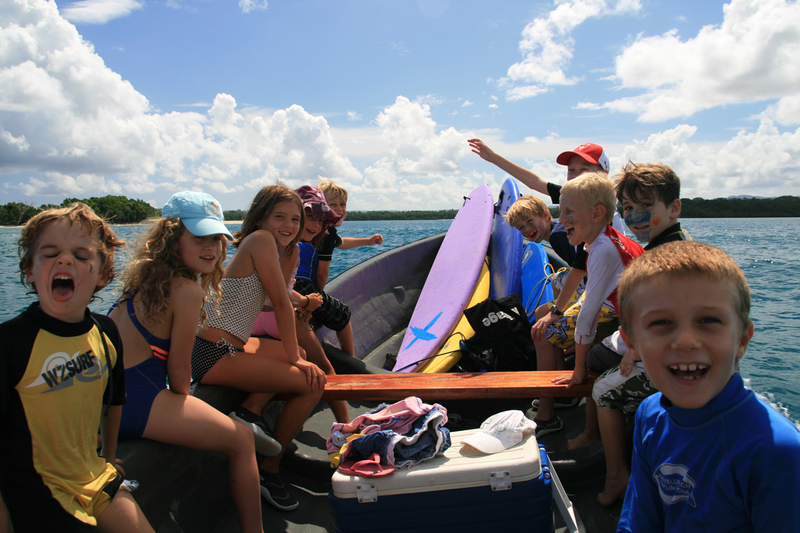 Most of our activities require children to be agile enough to participate in local adventures – in and out of the water. The activities programme allows children to experience what local children do to entertain themselves. 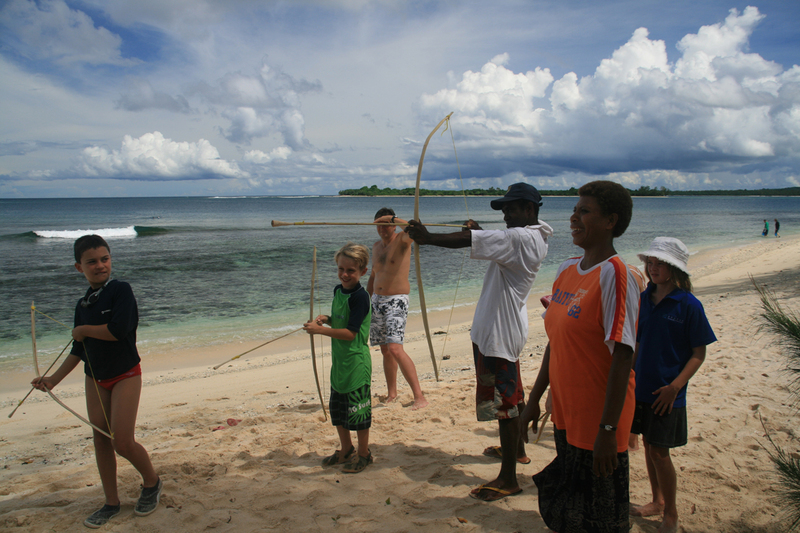 It also helps them interact with the local village and environment surrounding the resort. Please feel free to email [email protected] for a full activities programme. All these activities are provided free of charge and parents must accompany young children who they feel are unable to participate by themselves.